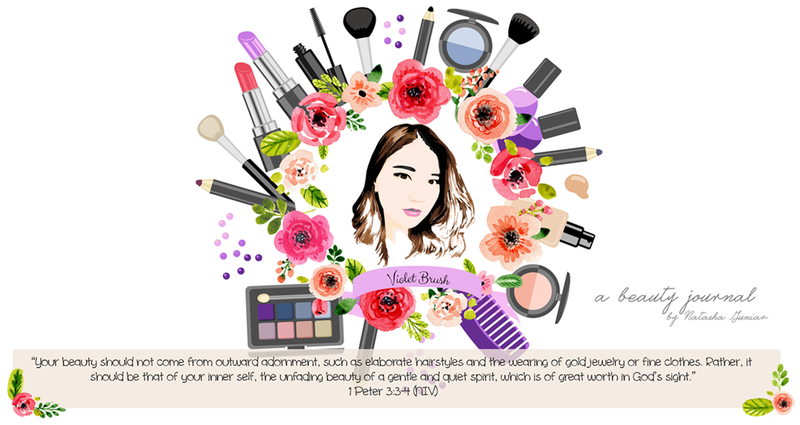 Violet Brush • Indonesian Beauty Blogger: Clean Your Face With Chocolate? Clean Your Face With Chocolate? It can't be denied that chocolate is almost everyone's ultimate comfort food. But using chocolate to clean your face? Interesting, isn't it? 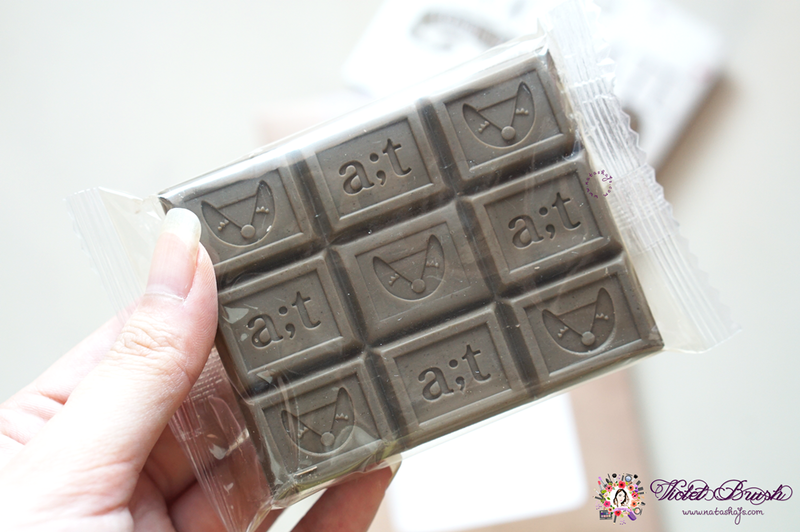 Well, it's not actual chocolate, it's the Chocolate Cleansing Bar from Korean cosmetics brand, a;t Fox. 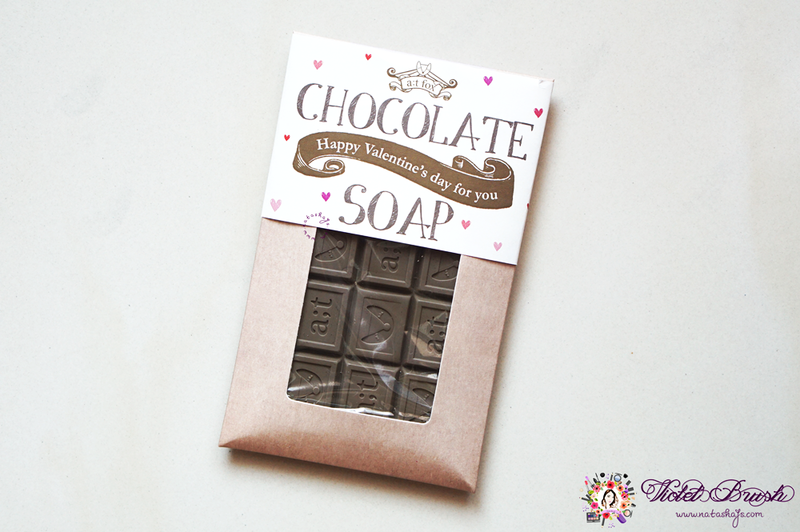 Softly and mildly cleanse the skin with abundant bubbles and sweet scent of chocolate. 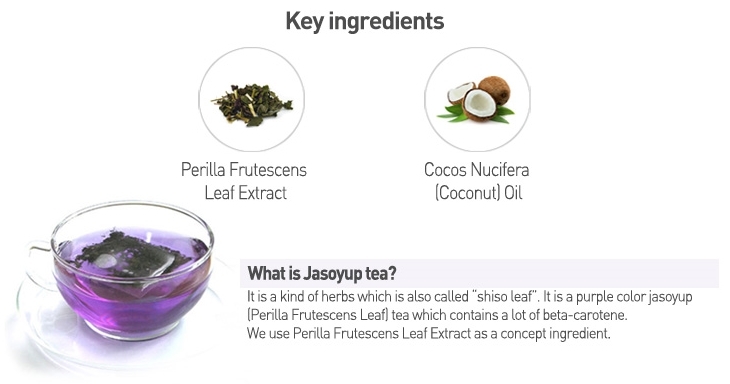 Make your skin calm and moisturized with jasoyup tea extracts that have a soothing effect. 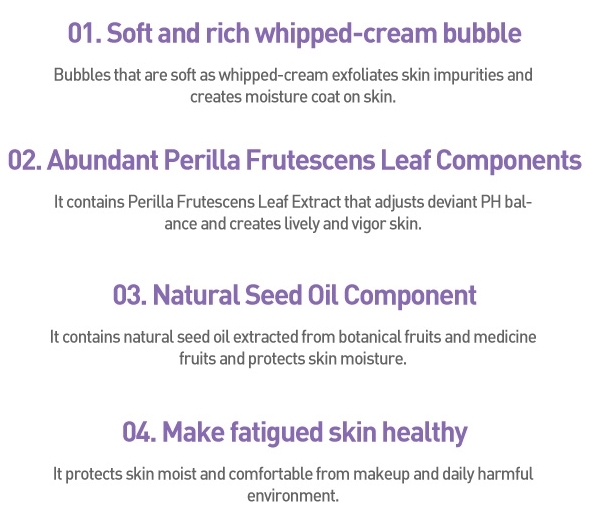 To use: after enough bubbles are formed, softly massage the skin and rinse with water. 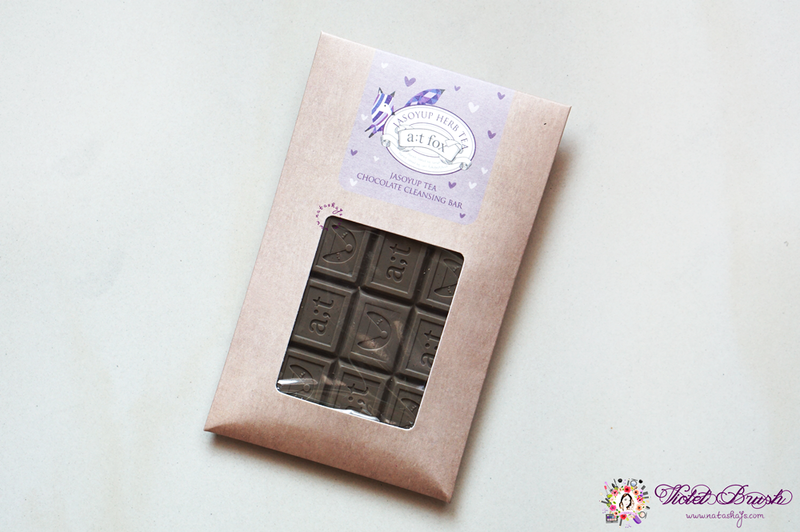 a;t Fox's Jasoyup Tea Chocolate Cleansing Bar really looks like a chocolate at first glance. You can even break the bar following the lines, like real chocolate. Not only its appearance, it also has that chocolaty smell mixed with herb-like scent. I personally think that the scent is very relaxing and calming. a;t Fox's Jasoyup Tea Chocolate Cleansing Bar is packed in a simple carton envelope with a paper band, specially to celebrate the Valentine's day. Just like what it claimed, a;t Fox's Jasoyup Tea Chocolate Cleansing Bar forms lots of bubbles that feels really soft on the skin. I really love the fluffiness of the bubbles on my skin. However, I'm kinda disappointed with its performance. I've been using this for about a week and for a product claiming to be able to moisturize your skin, my skin still feels tight and a little bit dry, though not to the point of getting my skin dry patches, after wash, given that I have dry-combination skin. 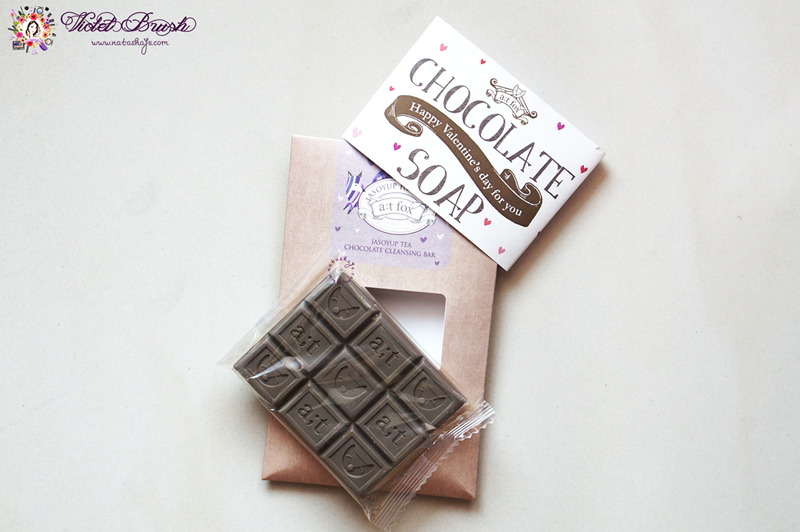 Perhaps, a;t Fox's Jasoyup Tea Chocolate Cleansing Bar will work better on normal to oily-combination skin. I prefer to give a;t Fox's Gyoolpy Tea White Chocolate Soap a try. Find this product on 0.8liter.com or Althea. This is a sponsored post. Please read Disclaimer Page. aku liat produk ini berseliweran di beberapa olshop, tapi belum tertarik untuk nyoba. unik banget bentuk cokelat, jadi tiap mau pakai dipotek gitu ya. Ahhh lucu abis. Ini kalau ada kecil bisa dikira makanan. Ini kalau dilihat ponakan dikira coklat beneran. Harus bener2 naruhnya.